Everyone’s smile is different, and likewise, everyone who experiences tooth loss does so to varying degrees. For many patients, missing teeth are not next to each other, and therefore a dental bridge won’t suffice to replace them. 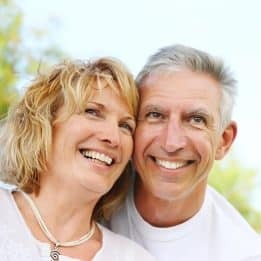 Placing a full denture would require extracting the teeth that remain; therefore partial dentures are often the optimal solution. 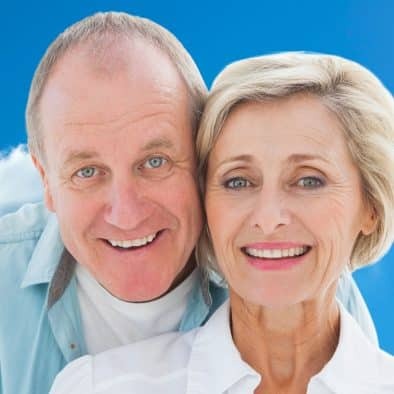 Like a full denture, a partial consists of a comfortable base that is supported by your dental ridge, as well as small, hidden clasps for increased support. Partials replace the teeth that you’ve lost while fitting around the teeth that remain, allowing you to enjoy a full smile again while still preserving your remaining healthy teeth. The difference between a bridge and a partial is that a dental bridge is fixed; its supportive crowns are bonded permanently to your abutment teeth, and can only be removed by your dentist. A partial denture, however, is removable and may be removed at home for cleaning or storage at night. Because bridges are crafted as a single prosthesis, they are also inadequate at addressing complex patterns of tooth loss. Don’t let missing teeth cost you your smile. Ask your dentist about the benefits of a partial denture by scheduling a consultation with one of our experts. Call the My Dentist office in Londonderry, NH, today at (603) 965-3407.